I often find it strange, being on a Fashion Promotion course, that I don’t post more of my university work on my blog. Its the whole eternal issue of never being 100% happy with my own work that stops me posting these kinds of things usually, and often once its finished, and I look back at it a couple of months later I can pick at least 20 different things I’d have done differently! That said, one shoot I am still really happy with was for my first 3rd year project, called Lifestyle Communications. 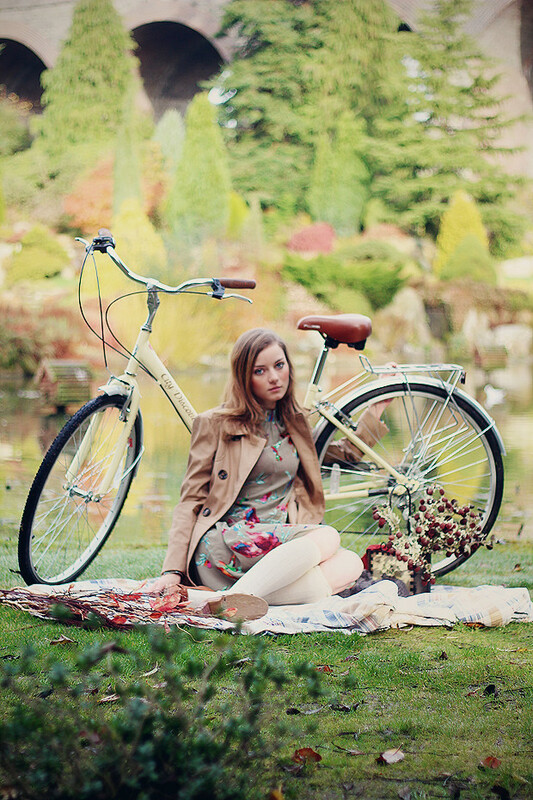 The accessory I chose to ‘create’ for my project was a bicycle for Mulberry. I did the photo shoot with a couple of my funnest friends up at Kilver Court Gardens; a place which to me, is like a fantastical haven that exists somewhat like a secret garden. Needless to say, the gardens are absolutely beautiful, and the perfect place to spend happy times outside in the sunshine during the summer! I chose the location also because Mulberry founder Roger Saul owns the gardens, as well as Kilver Court which boasts a cute collection of shops far away from the usual kind of thing you might usually find in Shepton Mallet. It was a great pleasure to be able to shoot in such a wonderful place, and I really enjoyed the shoot! Some of you may not know that Photography is one of my favourite hobbies (although I don’t consider myself a photographer by any means because I leg it at the sight of non-digital cameras, and enjoy it more as a hobby than an art form!) so whenever the chance to do a shoot for a project comes up I always want to get stuck in and snap it myself. It was fun editing this shot in my own way, rather than trying to keep it ‘Mulberry-esque’ – which is why there is no branding on it! The one thing I would change, would be that I would’ve loved to have had a wicker basket on the front of the bicycle – as a student, sometimes my budget restrains what I can do prop-wise, and this was the case here! My model Sarah did a sterling job though (don’t you think?) 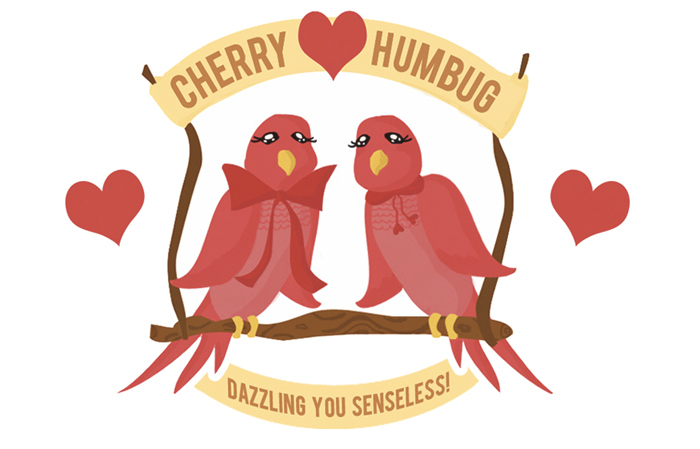 and will be working with me again as the face of my new business venture CherryHumbug.com which I’m super duper excited about! I also shot a video to accompany my photographic campaign, which on watching again needs a lot of refining, and the contrast needs correcting (do you see what I mean about these horrible afterthoughts?) but we had a good time shooting it so I thought I’d share it with you all so you can see what I’ve been upto in my time away from blogging! great work. thanks for sharing your thoughts. Hmm it looks like your site ate my first comment (it was extremely long) so I guess I’ll just sum it up what I submitted and say, I’m thoroughly enjoying your blog. 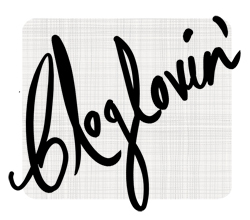 I too am an aspiring blog writer but I’m still new to everything. Do you have any recommendations for novice blog writers? I’d really appreciate it. Magnificent goods from you, man. I’ve understand your stuff previous to and you’re just too magnificent. I really like what you’ve acquired here, really like what you’re stating and the way in which you say it. You make it enjoyable and you still take care of to keep it wise. I can’t wait to read much more from you. This is actually a great website.